Corneal Ectasia is the term describing a number of irregularities of the cornea, the most notable being keratoconus. It is also experienced by some patients following refractive surgery either LASIK (laser in situ keratomileusis) or PRK (Photorefractive Keratectomy). The condition causes the cornea to become swollen and bulge out of shape. Consequently, the patient’s vision becomes irregular and distorted. In a number of cases of keratoconus, the patient will eventually require corneal transplant surgery. For the milder cases, the condition can be corrected with the right eyeglass prescription. However, if the disease has progressed beyond this stage, glasses are no longer able to improve vision because of the significant degree of corneal irregularity. Dr. Goosey, an eye specialist Houston trusts, can diagnose the severity of the condition and recommended treatment options. For certain patients, intacs may be the right solution. These are plastic semi-circular rings which are inserted inside the cornea. Patients can still their wear glasses or contacts afterwards. However, they will not stop any ongoing development in the process of the gradual swelling of the cornea, and some patients may require a corneal transplant later on. This procedure involves the use of riboflavin drops together with ultraviolet lighting to strengthen the cornea. It aims to stop the progress of keratoconus and reduce the irregularity. 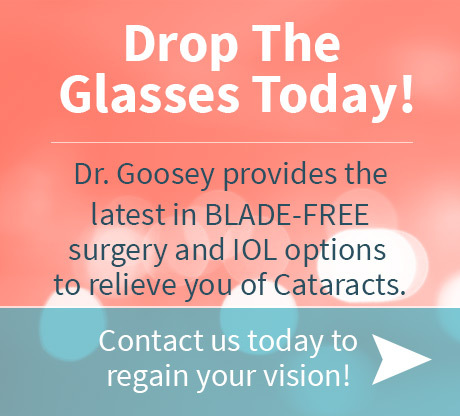 Dr. Goosey, an eye specialist Houston based, will usually recommend this treatment in order to halt the progression of the condition and prevent further bulging in the cornea. The relatively new procedure offers an ideal solution for many patients. Following a course of treatment, contact lenses are usually prescribed to further assist and maintain good vision. As with any surgical procedure, there is a small amount of risk involved, the major ones being infection and corneal haze. However, an eye specialist Houston can discuss all the issues with you so that you can feel totally confident about the procedure. In some situations, where the degree of irregularity is too great, and glasses or contacts are not able to successfully correct vision, a surgical solution is necessary. Experienced eye specialists Houston have the skills and understanding of this technique through their years of practice and countless successful procedures. Corneal Transplant procedures are one of the oldest and most successful forms of human transplants undertaken. Donor corneas are usually readily available, as they are bequeathed by significant numbers of people who specifically elect to donate their corneas rather than other organs. The most common corneal transplant is known as penetrating keratoplasty, where the surgeon cuts through the abnormal cornea and removes a small disc of tissue with a circular cut. The donor cornea is sized to fit and placed within the opening. It is then secured in place with fine stitching. After the surgery, patients will need to wear an eye patch and use eye medications while the healing process takes place. Follow-up visits to the eye specialist Houston will carefully check the progress and be sure to watch for any complications that may arise. Careful monitoring will usually be needed for up to twelve months. 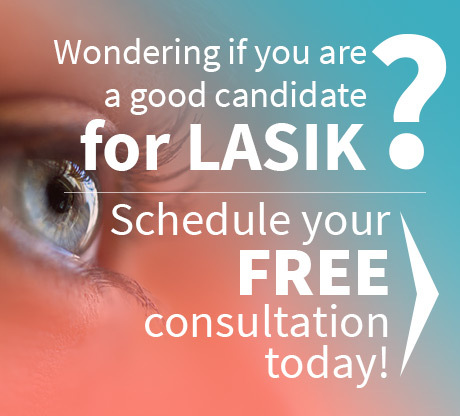 Schedule an appointment with one of Houston’s leading cornea specialists, Dr. Goosey, today to discuss your options regarding corneal ectasia or any other cornea disorders.